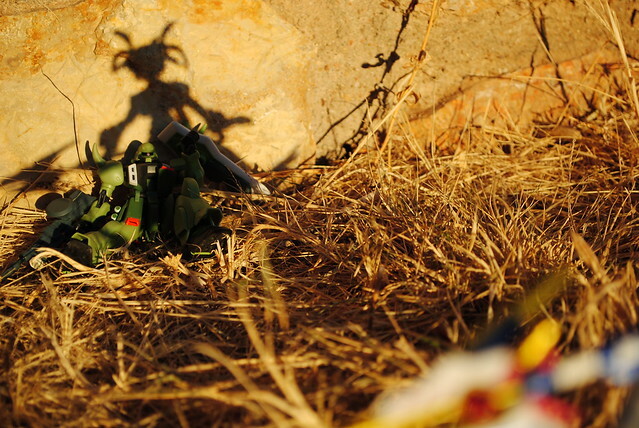 I feel sorry for that Zaku. Then again grunt units in Seed are really little more than cannon fodder for Gundams. Once again I saw a piece of fan art that "inspired" me, this time featuring Madoka and Nanoha. Since I don't have a Madoka I replaced her with a Zaku. Since Nanoha is essentially a Gundam in loli form I find it fitting.